thread, so I will ask a question which I don't think was addressed anyway. mounts to the pinion gear. Would this be natural cast iron as well, or black? I am having my rear restored as I write this and I forgot to get this information earlier. Drums were painted black with the axle. Several vintage magazines have photos that clearly show this. 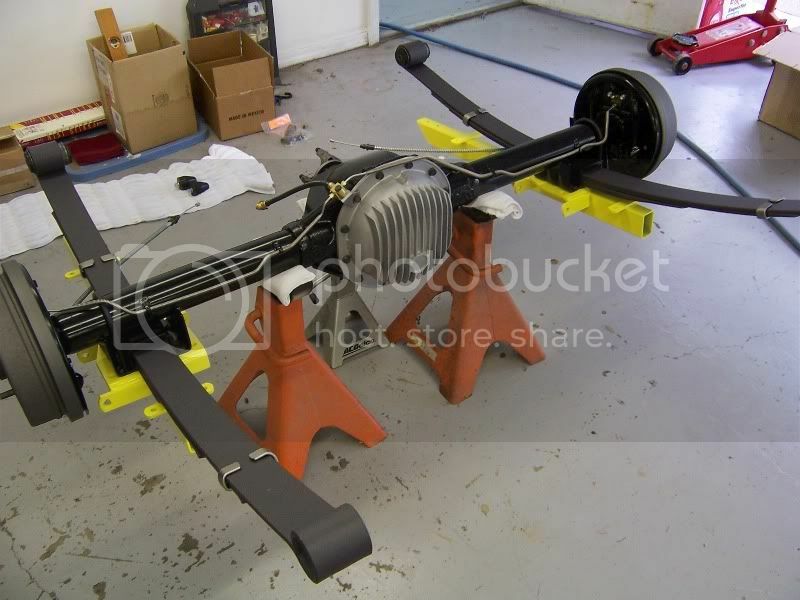 Hot Rod did a road test and subsequent mods to a '69 Z/28. 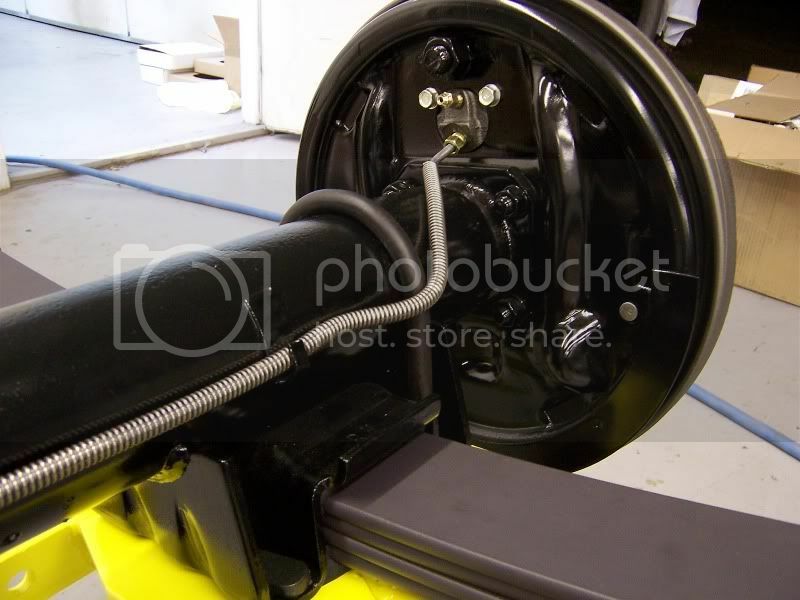 The photos of the T-bar installation show the drums were black. black painting process for the rear extend to the axle flanges? the axle flanges, or were they liberally coated? The March '68 Hi-Perf Cars has a feature on a B-M 427 Camaro with probably the best one. The drum is clearly all black as is the center of the axle flange. The single retaining clip on one of the studs is visible and obviously not painted. The May '68 Rodder & Super Stock has a smaller, similar photo of a '67 that shows essentially the same thing. May '68 Super Street Cars shows a drum with little more than overspray on the face. The circumference appears to be thoroughly painted. The May '69 Hot Rod shows the same as above. The angle is better and slight overspray can be seen on the axle flange. It is not possible to determine if the studs on any of these were painted. It would have been simple to mask them. 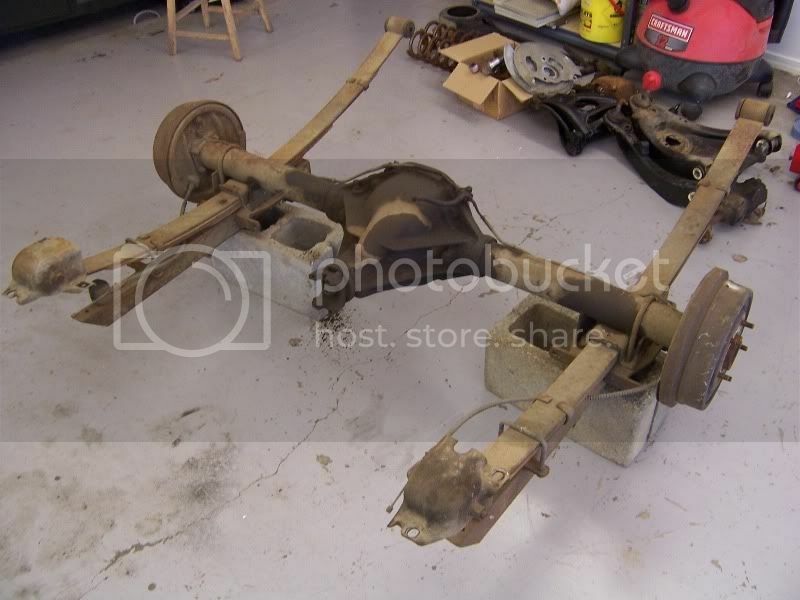 The axle SHAFT itself wasn't painted; the complete axle ASSEMBLY was painted after the drums were installed, as the last operation before the axle was placed in the shipping rack. I don't recall ever seeing any protetctive sleeves on the lug studs, but they avoided painting the pinion flange where the U-joint attached. A couple of additional questions for you. To "properly" restore my 12-bolt rear, should I put the brake drums on, mask the wheel mounting studs, then paint it all black? What about the axle flange itself? Should I remove the brake drum and paint it black all over ( inner & outer surfaces )? Do you remember two different pinion yolks as described above? As I posted above, the axle SHAFT wasn't painted at all; put the drums on, mask the studs, and paint the entire assembly. 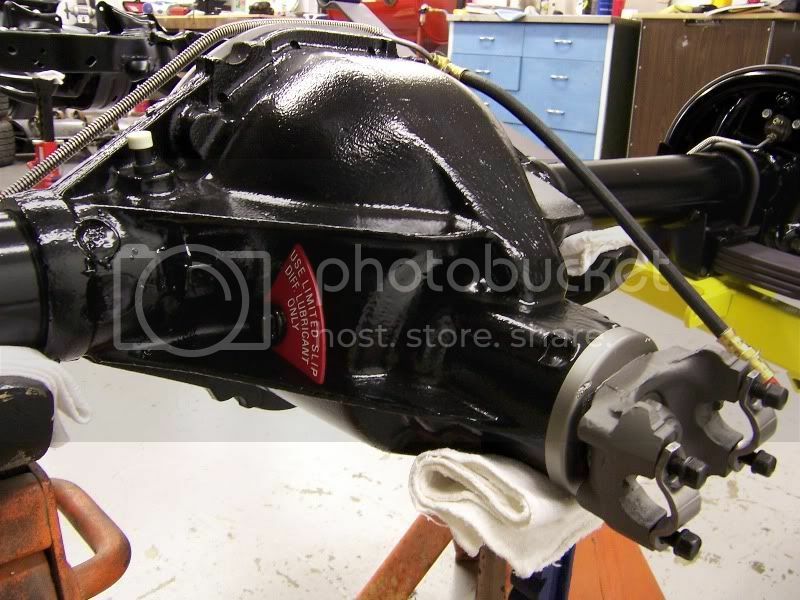 The pinion flange was installed at the axle plant, generally didn't get paint on it, and wasn't touched at the car assembly plant except to attach the prop shaft rear U-joint. The 12-bolt pinion flange was redesigned for '69. The new design used retaining straps rather than the 67-68 u-bolt & nut and was larger, the reason driveshaft length changed. All 69 12-bolt axles used the same flange. Don't forget the axle code labels the factory pasted on one or both brake drums, seen on page 166 of Jerry's excellent 1969 Camaro book. My 68 BB turbo 400 12 bolt has the large flange and straps.I was of the mind that 10 bolts used the u bolt design and 12 bolts used the straps.I've also read that BB and heavy- duty applications recieved the strap design.Small block 12 bolts got u bolts,although I would expect the Z's to have the strap style.I would think they would qualify as heavy-duty. Until several weeks ago I wasn't aware there were two different 12 bolt pinion flanges.I had a driveshaft that was supposed to be for a turbo 400 Camaro,but when I attempted to attach it to the 12 bolt imagine my suprise when it didn't work,it was then I found my 12 bolt has the big flange. Actually Dave I doubt they looked that good! made sense. I know the THM400 front yoke uses the large u-joints. So why would the rear u-joint be smaller. I was also told that the '69 Firebirds used the large pinion flange and that is why some people get the two confused. This is a comparison between the standard ( bottom ) and THM400 flange. Does your pinion flange look like this? Can I ask a large favor? Can you take some detailed images of this flange along with some measurements? See the image for the dimensions I need. Is there a part number on the pinion flange that I can reference? 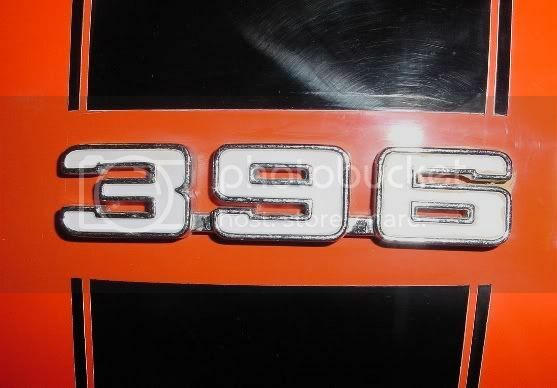 Lastly, what is the build date of your car and what exactly was the 396 stock hp designation ( 325hp, 350hp, 375hp )? you use SS brake lines? facing to drum or the differential. The pinion yolk is cast grey, the dust shield is steel (both painted), the straps are natural from AMK (i think, dont seem to be plated), and the strap bolts are dark phosphate plated. I use OEM steel lines. The SS look good, but not original. 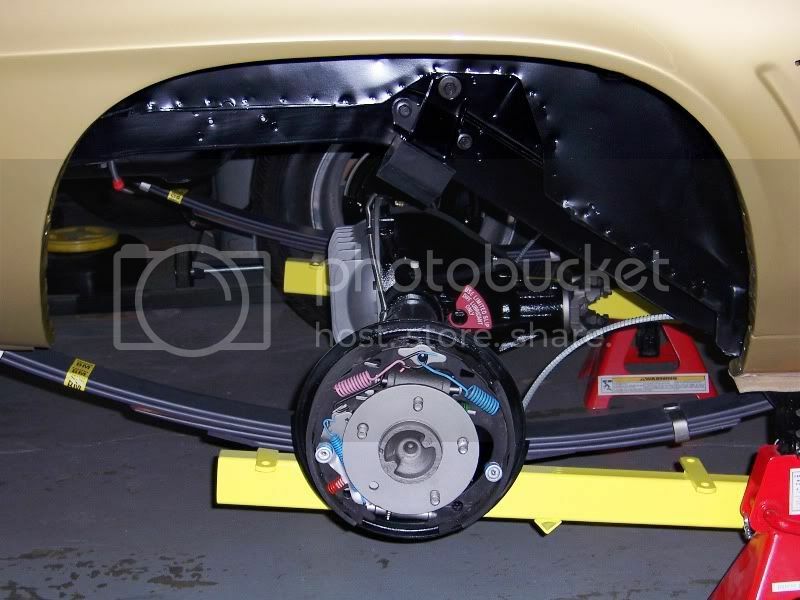 Plus Ive experienced that the OEM is easier to work with and easier to seal. Here are the pics of it that I have hosted. If you need any more pics or info, email me RamAirDave@aol.com and I should be able to help you out. I'll get you a couple pictures over the weekend. Looking in Rick's catalog they list the large u-joints(3 5/8"x 3 5/8") front and rear for 67/68 400's and large rear flange. The 3 1/4" is listed for all 69's regardless of trans. That's not meant to prove or disprove anything just an observation. My car is a 396/325,turbo 400,3:08 r/p non-posi. When I had the new r/p set-up, the mechanic commented on the larger pinion nut, it didn't mean anything to me, but maybe as a after thought, it's related to the large flange.The rear was unmolested until 06.